Create a custom group package for a memorable night at the opera! You get advance access to a top-notch view of Toronto’s best opera stage BEFORE the general public. We seat groups directly after our loyal subscribers, meaning you get the best available seats. Your agent will help build a customized order that takes into account your specific needs, so putting together an entertainment package that includes a night at the opera has never been easier! 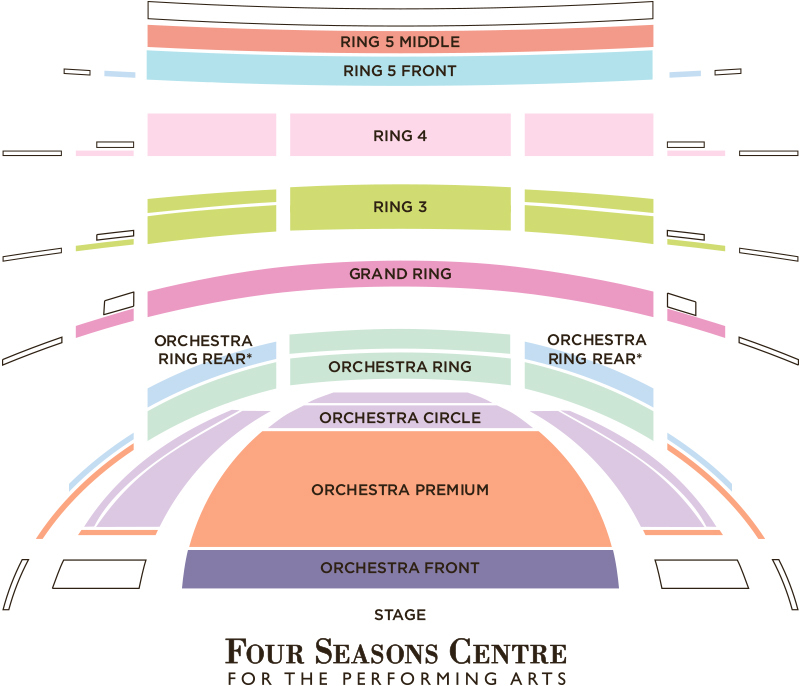 Want to include a backstage tour of the Four Seasons Centre? We can do that! We can even provide you with publicity material to help promote your event. More than just a night of opera! Celebrate with your corporate or educational organization at the opera and toast the night in one of Toronto’s architectural gems with a backstage tour or a private reception. Spending a magical evening indulging in luxury and splendor in the centre of Toronto is easy with so many great accommodation options and restaurants to choose from. Your dedicated group sales co-ordinator can suggest the right dining and overnight experience for any type of group. Group of 10+ students? Call 416-306-2356. Tickets are $22 per student, with seats in sections of rings 3, 4, and 5. Be sure to explore our Opera Under 30 programs for young patrons. 1. Call our Group Sales Co-ordinator at 416-306-2356, or by e-mail for availability and prices. 2. Reserve your seats with a deposit of only 25%. Balance of payment is due four weeks prior to the performance. 3. Pay by Visa, Mastercard, American Express, cheque or money order, payable to the Canadian Opera Company. There are no refunds once payment is received.